Using links in email that redirect to non-reputable landing pages will increase the probability of your email getting caught by spam filters. It’s also essential that hyperlink text is not an URL in itself which differs from the redirected page. Any outward facing link that links to a different page can be penalized. Your links should be full links to the real URL. Link shortening services like bit.ly are used heavily by spammers, using which can hurt your email deliverability. Make sure the link works before sending and use the best practice of adding a link to your website in signature. Having an image in your email is okay, but the ratio of image to text should be low. Never send image only emails with no text. You should take the time to design an email with text and graphics – not just a single image. It is also advisable to compress your images and ensure that there are no large-sized media files. The more your recipient engage with your emails by opening, clicking and reading the more are your chances to reach their inbox. Hence personalization is important. Analysts claim that personalized subject lines are 22.2% more likely to be opened. Care should be taken when sending emails to a list that the message is customised for the receiver. Missing a receiver’s first name is a sign that the email was not intended for them and can trigger spam filters. If you want to do the same then there are email marketing services and tools like SalesHandy helps. It has Mail Merge feature that has an option to fill in custom fields of email list from a .CSV document which allows personalization of email. Don’t attach a file unless it is essential. Having large files in the attachment is a red flag for spam filters. Instead, if you want to attach a document, use File linking and Document tracking feature from a platform like SalesHandy. It enables you to upload your documents to a link and then attach it to your email. Moreover, you can also track the clicks and viewed percentage of the document using their Document analytics. Sending many emails in a short span of time will alert anti-spam bots. Sending multiple emails at non-human frequency will make your emails land in the spam box. If you are using a new email address, it is important to warm it up. Prepare your email address before sending a large number of emails, start by sending a low number of emails and increase the number gradually. If you are sending mass emails then it’s important that you use a feature like Mail Merge with SalesHandy. Their Mail Merge feature with auto-follow-up uses drip method to ensure that even when you are mass emailing your emails are sent at a predetermined frequency ensuring they reach prospect’s inbox. With it, you can send up to 5000 emails in 24 hours at one go. Using a personalized tone and staying away from salesy words is key and ensures best email deliverability. One of the easiest ways to land in recipients spam box is to fill your email up with words, symbols, or phrases that trigger spam filters. There are a lot of free tools to check the spam score of your copy. Being informative, interesting, creative and providing value is important. Stay away from words like a guaranteed winner, hot offer etc. Using a low-quality email list with emails that don’t exist or are not in use will result in high bounce rate. 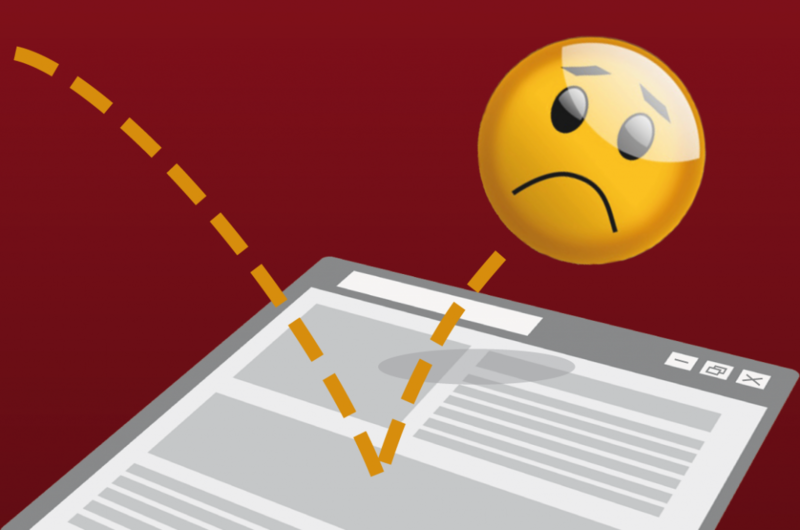 A high number of hard bounce will affect email deliverability as your domain may get blacklisted. Maintaining a low bounce rate is important. Using HTML email can help you incorporate branding elements that makes your email more memorable and help increase engagements. Use a maximum width of 600-800 pixels. Keep your image-to-text ratio low. Keep your HTML code as simple and clean as possible. The reputation of IP address and Domain of your Email service provider will affect your email deliverability. There are a number of freemium online tools that helps check your spam score. Testing in advance makes sure that your straight away don’t land up in recipients spam box. There are many email spam checker tools like Mail-Tester and Glock apps that help you check your spam score. Using these tools, you can conduct an email address test as well. It is important that you use clean emails like yourname@companyname.com and avoid using spammy looking email addresses to send emails from. Your emails should not contain lengthy text in the body. If you are writing a large email, then proper paragraphing is a must. It is also essential to spell check your emails before sending as it is an instant spam signal especially if you are sending mass emails. Using online templates opens up an opportunity that your recipient might have seen it before and might mark it as spam. In summary, if you have a well written, short and precise email with a low image to text ratio, no attachment and you are sending it through a dependable ESP then your email will most probably land in recipient’s primary inbox. We hope the tips mentioned above help you achieve your goals. These were the best email deliverability practices that can come handy in everybody’s day to day life. If there are any tips that we missed out on, you can comment below and we will be glad to add it in the blog. Ensure High Email Delieverability With SalesHandy - Sign-up for 14 Days Free Trial Now!